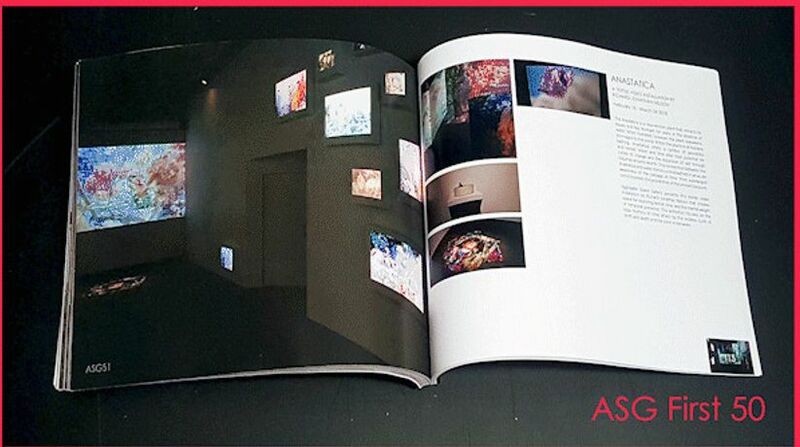 In celebration of our first 50 exhibitions at Aggregate Space Gallery, we produced a hardbound, commemorative art book. The limited-edition book ASG First 50 will showcase the artists, and the works they produced for ASG, that made this inaugural collection of exhibits dear to our hearts and laid the groundwork for additional bold and innovative programming. Please join us for the Aggregate Space Gallery's First 50 Book Launch & Celebration - December 12, 7-9PM. RSVP today, and then come by at 7 pm on Dec. 12, grab a glass of wine and a savory snack, and learn about ASG membership, upcoming opportunities and how you can support our mission to make the impossible, possible. And a Raffle! with chances to win all of the above! We hope you can join us for this very special event and celebration.